Yes, ripped jeans are still popular this year! You can rock this denim completely anywhere you want! Of course, it depends on how much these jeans are ripped, as you cannot wear extremely distressed version to a family dinner. Anyway, we are here today to see some of the best jeans you can actually wear on the streets and anywhere else. Ripped denim seems to be one of the best trends to try in 2017. By the way, the age has no limit to this trend. If you still think you are too old for this s#@t then you probably not right! 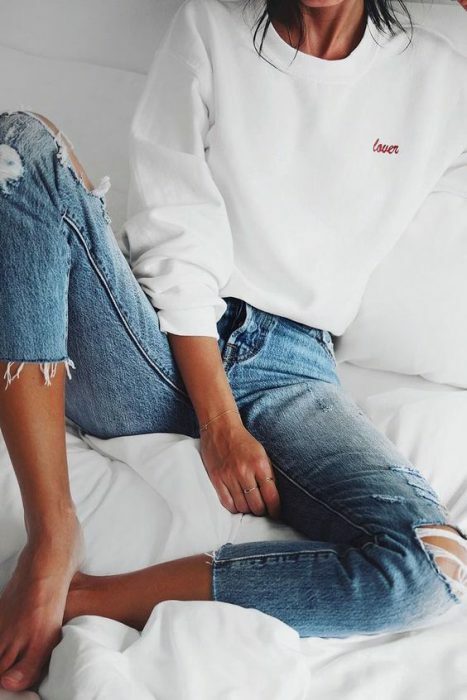 Today’s fashion offers its clientele lots of awesome ripped jeans, starting from the ones with little scratches and knee-cut jeans to insanely ripped styles. Never say you are an adult and you can’t afford it to wear. Only sky is the limit. How To Wear This DENIM in 2017? Ripped jeans are back in fashion and you better give them a second try. They can be luxe, edgy, grunge, sophisticated, glamor or casual. There are lots of awesome OOTD you can create with these bottoms, just make sure everything is balanced and you look at your best. You don’t have to make them look as something statement, just treat them as a random pair of jeans. Yes, they look cool and eye-catchy, that’s why you better pair them with plain and solid color tops. As you already dig, the key is in creating a simple look. Look no further than all in black looks, like knee-ripped black skinnies with the same color top. Blue and black ripped denim bottoms look awesome with white tees, crop tops, bodysuits, button-down shirts, and off-the-shoulder tops. Always make sure you have simplified your outfit. 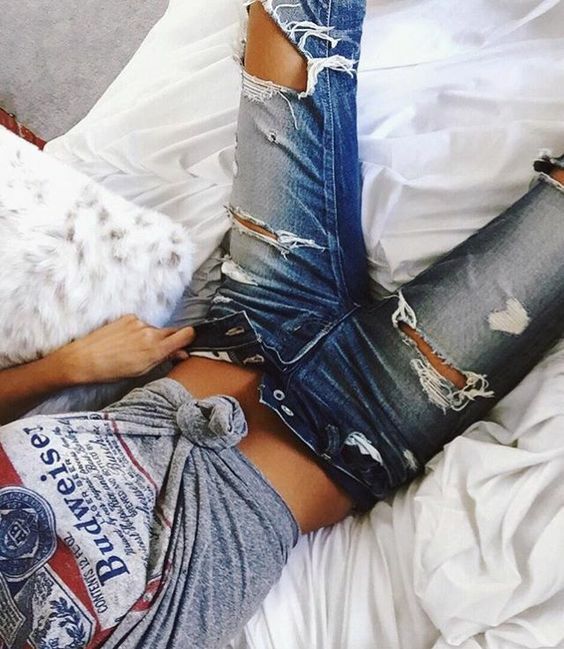 My favorite styles are boyfriend ripped jeans. They look pretty awesome with everything I’ve got in my closet.